The key to your vehicle’s smooth road travel is quality transmission maintenance. Croce’s Transmission in Norwalk, CT has a team of specialists who don’t just show up after your vehicle is broken down or malfunctioning. When there’s a delayed response in receiving transmission service attention, an expensive repair is sure to follow. That’s what our team is determined to help you avoid. We do this with an expert transmission maintenance schedule. We’ll consider your vehicle’s age, your driving habits, and the manufacturer’s recommendations when designing your transmission service plan. Preventative maintenance is how we keep you two steps ahead of any transmission malfunction. Transmission flushes are usually necessary if you haven’t received transmission maintenance in a long time. Gunk or slime will build up in the transmission fluid and it may give off a strange smell and color when you need a transmission flush. Replacing the pan gasket is a common transmission maintenance service. Normal road travel will cause wear-and-tear that can lead to a crack in the gasket which causes transmission fluid leaks. 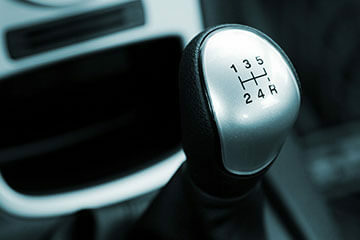 If the transmission loses too much fluid, it will compromise the car’s ability to shift gears. Transmission maintenance often means simply cleaning out the transmission pan and gasket. Over time, dirt, debris and transmission fluid will turn into slime. Removal of all this grime is a top priority for any transmission maintenance service. There is also a transmission filter that will need to be changed. Filters are meant to protect the transmission from contaminants but they can become dirty and clogged themselves! Our transmission maintenance services include a timely replacement of the transmission filter. We’ll make sure that your transmission maintains the appropriate levels of fluid to ensure peak performance at all times. Schedule Your Transmission Maintenance Service! Today’s the day to get your transmission in optimal condition. We perform any and all transmission repair needs, but we can actually do you one better. We can make sure you avoid those costly repairs altogether. How? With our quality transmission maintenance and general maintenance service will keep your accelerating and decelerating smoothly. Our team of transmission specialists has a better service experience and plan for you and your vehicle. Give us a call today at 203-845-8899 to schedule your next transmission maintenance appointment. You can save time by scheduling right now using our convenient online scheduling system. Next time you’re in the area–301 Main Avenue–feel free to stop by with any questions or concerns about your transmission’s performance. We gladly accept all of our walk-in customers!